To help Patriots fans celebrate yet another Super Bowl Championship we are pleased to offer this special Super Bowl LI Game Ball and Display Case set! 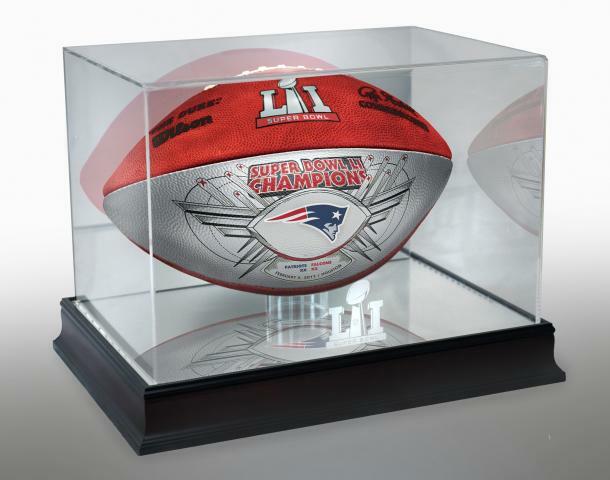 This special ball and display case set features one Super Bowl LI Champions Game Ball from Wilson and a custom-etched Super Bowl Champions Display Case. This crystal-clear acrylic case is laser etched with both the Super Bowl and team logos, and will look great on any shelf in your home or office. You SAVE $60 when you order this set. 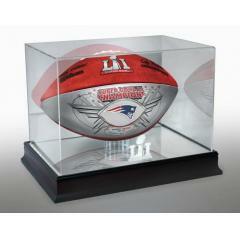 Patriots Super Bowl LI Champions SILVER Game Ball and Display Case $199.95 Sold Out!